Selling a product, like popcorn tins, candy bars, and cookie dough, has been a long-standing, and popular, way to earn money for your high school. However, there are many other ideas that serve the same purpose–and will excite your students and keep them engaged. We’ve got five fun fundraising ideas for you that will give your students what they want AND are easy to pull together and execute during the school year. Who can resist this sweet treat? 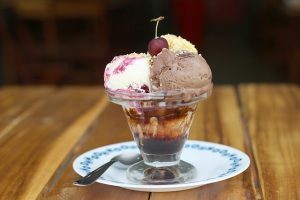 An ice cream social fundraiser is guaranteed to bring in good profits for your school clubs or sports. Organizing an ice cream social is fairly easy. You need ice cream, of course, plus lots of cones, cups, spoons, and toppings. Creating a make-your-own ice cream sundae bar may be the best option. Students will love this because they get a chance to eat and interact with their friends–and make new friends. Is your school looking for a way to fundraise for a good cause? Having a Pink Out Day is a great solution. October is National Breast Cancer Awareness Month, so it’s the perfect time to schedule a Pink Out Day and/or Pink Out Football Game. Stock up on “everything pink,” like, EyeBlacks, Wristbands, Sunglasses, and even Pink M&Ms. Not only will students, parents, and community members love the items, but the profits you generate will go toward supporting breast cancer research. 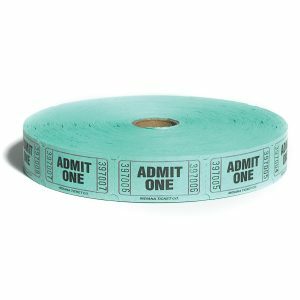 For this, all you need is a roll of tickets, ticket sellers, and awesome prizes. Coordinate selling raffle tickets with Spirit Week, Winter Formal, Prom, or other bigger school event. The planning committee for school events like these can invest some of their budget to purchase bigger prizes, from electronic accessories to Kindles to gift certificates. Once the prizes have been determined, set-up tables around school for students to purchase raffle tickets for a chance at those prizes. And don’t forget to promote what those prizes are–knowing what they could win will help build excitement and increase ticket sales. By organizing a yard sale, you ask students and their families for donations, so this school fundraising idea is something that won’t dent your budget much. Any dollars you spend on this will probably go mostly to promoting it; banners, yard signs, posters, and social media posts are best. Simply choose a location to hold it and/or drop off donations. Then, gather volunteers to organize and set up the donations for the big day. Students and community members will have a lot of fun engaging with your yard sale. Those popcorn tins and candy bars are fun treats that your teenagers will love selling (and eating), but there are other fundraising products that are popular with your high school students that are surefire “easy sale” items for your next school fundraiser. Try some of these ideas to increase profits for Homecoming, Prom, or other school events. Fundraising is an important part of high school, so make sure you choose a fundraiser that is easy to put together, increases student engagement, and is sure sell tickets and make a profit. Choose one of the above ideas. Or let us know what your school did and let us know via Facebook. The Prom Nite brand is a reflection of the once in a lifetime, flawless experience you and your friends will remember for years to come. We at Prom Nite understand the importance of your Prom and want it to be as classic, sophisticated and fun as you have dreamt it to be. The Prom Professionals from Prom Nite invite you to shop only the finest favors, decoration, royalty items, and stationery which can be found within these pages. With help from Prom Nite, your Prom will be as timeless and glamorous as you and your friends. Those memories will dance on for an eternity. Together, let’s make this Prom Nite last forever.